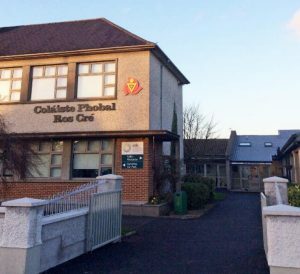 Coláiste Phobal Ros Cré is committed to providing a holistic education in a caring environment to all our students. Our philosophy is to encourage all students to strive to reach their full potential. Coláiste Phobal Ros Cré is a College committed to delivering a high quality education to all students enrolled. Our location places us in the privileged position of enrolling students from three counties – Tipperary, Laois and Offaly. We have an experienced, committed staff that have an excellent record of meeting the needs of all students. Our philosophy is to encourage all students to strive to reach their full potential. 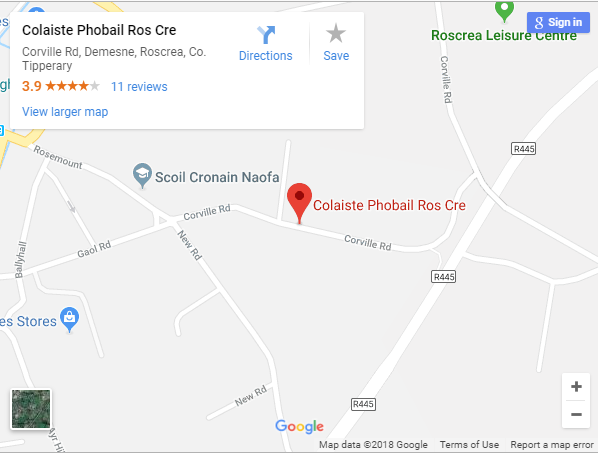 Coláiste Phobal Ros Cré is now in operation for sixteen years having evolved through an amalgamation process in 1999. 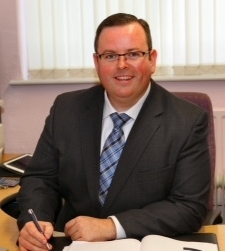 In that time we have firmly established an excellent College catering for the education needs of Roscrea and environs which includes parts of North Tipperary, Offaly and Laois. The College provides a comprehensive range of programmes and subject choices at Junior and Leaving Certificate as well as catering for Transition Year and Post-Leaving Certificate Courses. We also offer an extensive range of night classes where people can enhance their education through Diploma and Certificate courses or simply enjoy the many hobby classes available. Our philosophy is to identify the needs of pupils in our changing times and to set about devising programmes and courses to meet those needs.